We are are just days away from the Andra Chansen round of Melodifestivalen 2019. That means we’re heading into the home stretch of the contest. And with that comes freshly updated predictions about who will win and how the public is leaning. And as we gaze into the Spotify charts, it appears that John Lundvik has emerged as the favourite to win the Song Bird trophy. Startnummer 7 i deltävling 4: Lidköping. Artist: John Lundvik. Bidrag: ”Too Late For Love”. Låtskrivare: John Lundvik, Anderz Wrethov, Andreas ”Stone” Johansson. • Melodifestivalrutin: 2018 deltog John med låten ”My Turn” som kom på tredje plats i finalen. • Övrigt: John är friidrottare och har kombinerat sport med musiken. Johns musikkarriär tog riktigt fart när han var en av textförfattarna till låten ”When You Tell the World You’re Mine”, som spelades på kronprinsessans bröllop 2010. Lundvik har jobbat med många svenska artister och skrivit filmmusiken till ”Snabba cash”. Till den tredje säsongen av serien ”Empire”, som bygger på ett musikimperium i USA, var John med och skrev musiken. Lundvik har också en bakgrund inom friidrotten som sprinter (100 meter). Han har 8 SM-guld i ryggen. Till OS i Rio 2016 var det John som skrev och framförde den svenska OS-låten ”All About the Games”. • Favoritbidrag från Melodifestivalen: Carola – ”Evighet” (2006). • Kör på scen: Paris Renita, Loulou Lamotte, Ashley Haynes, Dinah Yonas Manna. • Kör utanför scen: Dea Norberg, Stefan Nyqvist, Lars Säfsund. • Nummerkreatörer: Dennis Brøchner och Zain Odelstål tillsammans med Lotta Furubäck och Sacha Jean Baptiste. • Rekvisita: Roterande scen, piano i plexiglas, pianostol. • Ljus: LED-ljus i pianot, strob-ljus som lyfter fram åskljud. Värdeord: John och hans röst står i centrum. Färg: Rött och vitt ljus. – Låten symboliserar min resa som jag gjort sedan jag var med i Mello förra året. Det har varit en kärlekssaga och en dröm att få kliva ut som artist på det sättet. Den här låten är steg två från ”My Turn” [bidraget 2018]. De sitter ihop. ”Too Late for Love” visar en annan del av mig som artist. Den är både ballad, midtempo och upptempo, vilket gör att jag får använda ett stort register av mitt artisteri och min röst. Det ska bli utmanande och kul. – Titeln säger ”Too Late For Love”, men det jag vill säga är: ”It’s never too late for love”. Jag vågar tro någonstans, i mitt naiva hjärta, att allt går att lösa med kärlek. After Semi Final 4 this past Saturday, all of this year’s Melfest songs were unleashed upon the Swedish public to stream to their hearts content. 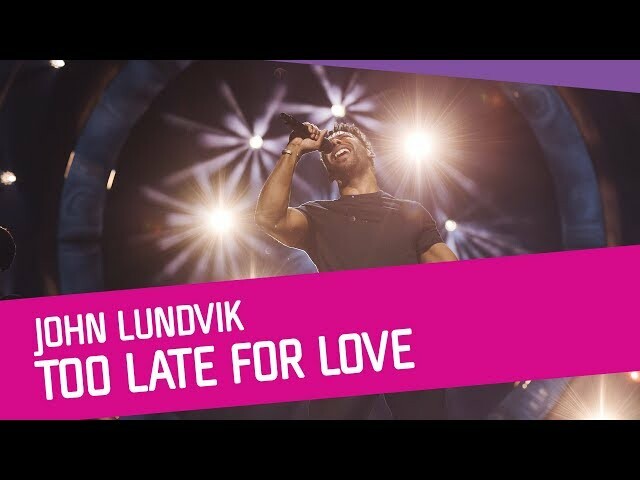 And with Sunday’s daily listens just released it’s “Too Late For Love” belter John Lundvik who came out on top. He’s followed closely by Mello debutant Bishara and his song “On My Own” and Idol alums Hanna Ferm & Liamoo with their duet “Hold You”. Spotify isn’t the best predictor of the winner. For example, last year in the days leading up to the final it was Samir & Viktor who took the top spot with “Shuffla” while winner-to-be Benjamin Ingrosso sat at #6 with “Dance You Off”. And what do the betmakers have to say about all this? We looked at Sweden’s online betting site Unibet and their top picks somewhat align with Spotify. They’ve placed Lundvik first in the odds, Hanna Ferm & Liamoo second, and Bishara third. It’s tight, suggesting a three-horse race. Interestingly, Anna Bergendahl and Lisa Ajax make the Top 10 of Unibet’s odds chart even though they must survive their duels in Andra Chansen this weekend. Could this indicate the Bergendemption train making it all the way to Stockholm next week with “Ashes To Ashes” along with “Torn” — the ballad that Loreen supposedly turned down? It is fun to note that the last two winners of Mello were both artists that made a strong debut their first year in the contest and then came back to win it. Robin Bengtsson placed 5th with “Constellation Prize” in 2016 and then came back the next year to win it all with “I Can’t Go On”. Benjamin would debut in 5th place as well with “Good Lovin'” in 2017, but then in 2018 would haul his giant tanning bed to Eurovision to dance the world off. Is this a sign that John will be taking his Close Encounters of the Third Kind – esque lighting gear and gospel choir to Israel? If so he could possibly be up against his own song that he penned for the UK — Michael Rice‘s “Bigger Than Us”. Perhaps Laurell Barker won’t be the only person needing a rotating platform for the green room. Do you think John Lundvik will win Melodifestivalen 2019? If not who do you think will win? Let us know in the comment section below. He will likely win! And then win ESC! This is a SONG (!) Contest. John Lundvik is already competing for the UK. He shouldn’t be allowed to compete for another one – although it is not forbidden to write a song for mutliple countries, only the artist are not allowed to do that. The ESC is not a talent show, it is a competition about music. The EBU/Reference Group should apply the same rule for both, artists and songwriters, that they can compete for just one country. For me, this is the weakest Mello…since I don’t remember when. I am OK with any of the top 3 faves, or Wiktoria, Or Anna, or Lisa winning it.- because I do not feel any connection to any of the songs. I am also sure any of the 6 songs will easily qualify, but I feel any of them probably end up outisde top 10, a la Robin 2013. I am sure John will win the jury vote and Wiktoria/Liamoo and Hanna will take public jury. I find myself singing along “Too late for love” though I find it a bit too similar to Cesar Sampson last year. The new system only allows 5 votes per person so I don’t Think so. I dont think you can be so sure how people vill vote. In 2017 everybody thought Jon Henrik would win the tele vote and he didn’t. Jon Lundvik could get televoters too. And even if Bishara gets most televotes Jon Lundvik could still win on jury support. Of course Bishara could get most jury votes too. similar? dont be pathetic. John is way better. Just because you dont see black people performing in ESC often doesnt mean it’s similar. FYI my comment below was in reply to a message that has since been deleted, so the context of my reply is no longer relevant to this post at all. We were discussing a different topic. In fact, I would like to directly ask Wiwibloggs for an explanation as to the deletion of the comment I was replying to. Also, why has my now non-relevant comment been “locked”? Is any song in ESC unique? A winner? I once posted four times on such an article. Three of the comments were in-jokes, and the fourth was the same message without the joke. The fourth message stayed, while the other three never returned. Someone obviously does not allow humour posted under this topic. I hope John is winning. The song is very uplifting and John has a glowing charisma and great vocals. So have his amazing choir. I think we would do a great result with him in esc too. I don’t get why people compare it to Austria’s last year. It’s not the same song at all. Far more memorable as well. Hanna Ferm & Liamoo much better than John Lundvik. I want him to win MF. Since they destroyed Maruv, it’s now only Slovenia that interests me… so come on Sweden! Why are we all so bloody sure that the public will hate it? Every single person I have shown it to outside the Eurovision fan bubble (my guinea pigs on a yearly basis) have loved it. It’s fun, it’s catchy, you want to dance, it makes you smile. I think some people on here just have to get over their anti-Sweden-bias they’ve developed these past few years…. They think that because Austria didn’t do very well in the tele vote with a gospel/soul song that every song in that genre wont do well. Appareantly it’s established fact. In a year with quite a few great female acts (Lisa, Anna, Wiktoria) the last thing we need is another generic male jury magnet. Please Sweden, it’s been 5 years since Sanna Nielsen for god’s sake. At least send the duo! I’ll vote for John Lundvik in the final! A lot! Will do as well. ??? Completely agree with everything you said about John and Wiktoria! Meh. An inoffensive church song with good vocals. Jury will love this. Sweden is playing safe again with these pop songs. Having listened more to the songs, I would actually be happy with either John Lundvik or Wiktoria. Either could do wonders for Sweden. John Lundvik’s song is like a mix of Austria and Australia 2018. I haven’t made my mind yet about it, but surely the performance elevates it a lot. So just because it didn’t work for Austria it wont work for Sweden or what? And also wont work for every country that sends gospel? I agree it’s probably John Lundvik, I cant see Anybody else stealing his momentum. Problem with it though is that the song itself isn’t that interesting, its the performance that lifts it. Still anything is better than last year and most of the songs should do better than last year. Especially in a mediocre year. But in ESC it isn’t just the song that counts. It is the feeling people get when they see the whole thing that is the important thing. That’s why the winner isn’t automatically the song that is the most successful in the charts after ESC. Yes, and that’s something John Lundvik is Good at doing: the package. It’s not just the song. That is something most countries still struggle with. Stop negative namecalling Bishara! You are the reason many teens around the world commit suicide because of hate! I hope you feel better about yourself. I guess John Lundvik was the obvious choice even before we had heard any of the songs. John may be likable, but I just don’t seem to be able to connect to his songs which always seem to be quite… boring. Why Wiktoria all the time?? Only fans root for her. Yes, I think there’s quite a few of us who are tired of hearing that two POC are exactly the same. These two songs and their voices sound completely different. John is my favourite but the comparisons are obvious and natural. It’s like Robin/Benjamin or Eleni/Tamta. It will just happen. Or Wiktoria/Lisa in this Melodifestivalen. They aren’t all out yet for those of us outside of Sweden. Though you should have access to at least 20 songs I would think. I have 20 of them on my spotify playlist and I live in Canada. Bishara’s song is hideous, and that duet thing is among the most old-fashioned songs I’ve heard in a melfest, so I hope John Ludvik will manage to win this. I don’t really like any song in this final except for Lina’s, and maybe Lisa or Wiktoria’s, but John is the lesser evil. However Sweden seems to LOVE mediocre but cute male singers so congrats Bishara!! Cute? I must be blind then..
Oh, and I would just stick with Germany aka Sweden in John and Laurell. No rotating to that shamefully nondescript UK song. I could get behind “Hold You” if the lyrics in the verses were so incredibly bad. * weren’t. Jesus. Of course I mean weren’t. They ARE incredibly bad. Juries will overrated so hard John in points in MF and ESC. Thanks to them he will win MF and ESC In ESC he will collect more points than Cesar from Austria last year. 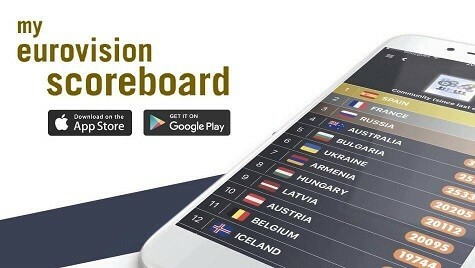 My prediction from 320 (like Australia 2016) to 390 points (like Portugal 2019) from juries. From 1-3 in final ESC thanks to juries. Between John Lundvik, Bishara and Hanna och LIAMOO, my favourite is John Lundvik by FAR! I have trouble imagining the jury ranking Bishara that high tbh (and I’m sort of questioning Sweden’s taste in music if he gets the most votes). If it was up to me, I would probably chose Wiktoria to rep Sweden. Bishara is fantastic, but the song is not good. It sounds like a 90’s boyband ballad. He’s too young for those lyrics. But if he nails those high notes he will be dangerous anyway. But he won’t get any votes from me. My votes go to John! I do hope its John in the end. Really worried though. Bishara has totally destroyed competition regarding youtube views. Bishara looks out of place on this stage for me — and the song doesn’t seem to fit him at all. Yeah I was gonna say I have trouble imagining the stereotypical middle eastern family jamming to Dolly Style (not saying they don’t, but I think uff is right in pointing out their appeal is primarily to a young audience, regardless of background). But the commentsection is not as positive as with John. Many come just to dislike. I am sorry but John Lundviks song doesnt do it for me… Wiktoria, Hanna Ferm and Liamoo and Lisa Ajax are the best options! Well, I’m glad they’ve finally been released! Win or lose, a few of these will be staying on my ESC 2019 playlist. I reckon it’s going to be a top 2 between Wiktoria and John, but I would not be surprised if Mohombi or even Hanna&Liamoo win. I still believe Anna has an Andra Chance to pull a 2013 too. Couldn’t be a more cliché europop/gospel song. This will score high on jury unfortunately like Austria did last year but thanks the televote this can’t win ESC. Will Sweden be smart enough to send something else ? If we even have that power, could be the international jury that decides for us again this year since it is a close race.. They have pagan fury with something different but they still stick with pop songs. Not even half of the Eurovision-Songs are revealed yet. Literally every single year people are like “this is gonna be the worst year” and in the end it’s gonna be a great year with amazing songs and artists. Just have a little faith. No. 2017 was also really bad this time and it turned out it’s still really bad overall. 2019 might be the same. Better than last year. For me, at least. Those betting are sleeping on Wiktoria. Other than that, it is as expected I think. My favourite is John Lundvik and I wish him all the best. I’d be happy with either those singers.